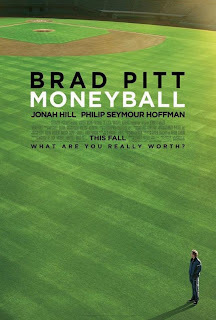 Chris and I belatedly saw the movie "Moneyball" a couple days ago, and let me just say that if you're a writer, you definitely should see this if it's still playing in your area (or available on video by the time you read this). If you haven't seen this, but have heard of it, probably what you "know" about it is that it's a baseball movie. Well, sorta. It's a book set in the baseball industry. (And if you had any illusions that baseball, or any other major "sport" is actually a sport and not an industry, this movie should cure you of that fallacy.) This is a movie about business, about problem solving, and about management. If that sounds dry and boring, it isn't. It's fascinating, in part because it is a baseball movie. Not that I'm a sports fan. I'm not (though I come closer to liking baseball than pretty much any traditional sport I can name). It's fascinating because Moneyball has some great acting, good characters, snappy dialogue (courtesy of writer Arron Sorkin, who brought you "The West Wing," and "The Social Network," among other great things), and a compelling story to present its lessons in business. Yes, it's an enjoyable movie for anyone with half-a-brain, an interest in baseball, or both, but why should writers care about Moneyball? 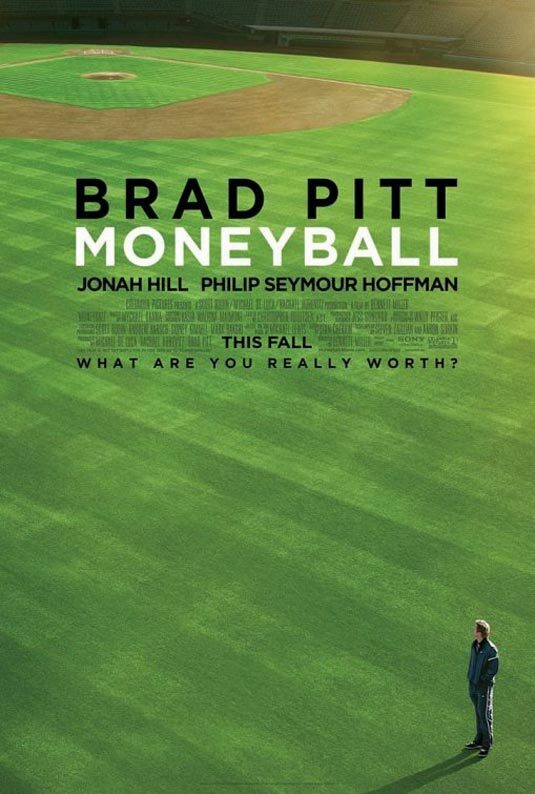 Because Moneyball is about a very old industry in transition. It's about an industry bound by tradition and "conventional wisdom" which may not be so wise. It's about how all that falls apart when the economics don't work any more, when the fat-cats are fat and simply assume that the little-guys will continue to play the game as always, no matter how bad the deal for them gets. It's about how, when those traditions are challenged by new ideas, the "experts" are frequently the last to know. If you think this sounds like the state of book publishing over the last few years, then you would be right, and this movie is just full of lessons and metaphors for understanding what's going on there. On the face of it, Moneyball is about the turn-of-the-century Oakland As, a once-mighty team laid low by money. The team's new owners simply didn't have the money to buy players that major teams did. That wasn't fair, but that was the game as it existed then. Everybody bought players from the same pool, using the same methods, and so teams with deep pockets got good players (by the agreed-upon standards of good) and won most of the games. By the behind-the-scenes rules of Baseball at the time, the A's were in a tail-spin with no way out. The wouldn't win games. They couldn't win games. And that should have been the end of that. It's easy to think that an industry as old, as traditional, as hidebound as major-league baseball is inherently stable, but it's not. When you create an inequity, when you sit on top of the people who actually are the heart of your industry, that stability is an illusion. Even if the people on the bottom seem totally boxed in by the system, even if it seems the status quo can't possibly upset, it takes only one minor change in the system to send that all into chaos, perhaps even to topple the straw-fort that you've built for yourself. And moreover, it is nearly impossible for the people sitting on top of the heap to see this change from their perspective until it's too late. In the case of Moneyball, the change comes when a few people running a baseball team realize that since they can't afford star players, they will need to find a way to win games without them. They think they've found that way, and they put it into motion, but of course, everyone thinks they're insane, until they start winning game after game. And then of course they -- still think they're insane. It's just luck. It will all be over soon. This streak they're on, it will end pretty much any second now. This can't be happening, ergo it isn't. Yup, that's publishing all right. So, what are a few lessons we can learn about publishing from Moneyball? Conventional wisdom may not be so wise - Many of my favorite scenes in Moneyball revolve around scouts, the old guys who are charged with going out to the minors, to schools, and sand-lots looking for future super-stars. There's a great scene where they sit around a table, combined centuries of baseball experience and wisdom, spouting increasingly bizarre nonsense about why a potential player choice is, or isn't, major-league material. They don't have a "good face," or a strong enough jawline, or they have the wrong body type. And my favorite among favorites is the "ugly girlfriend" rule. A player is rejected because his girlfriend is judged not pretty enough. "It shows a lack of confidence" announces one geezer with absolute authority. It's so easy to transpose baseball scouts into literary agents, or book editors, since these are the people the traditional publishing industry trusts to choose potential best-sellers for them. Again, you have people with a fantastic amount of knowledge and experience often making dunderheaded decisions for absurd reason. This is simply human nature. Science shows us that people in industries faced with uncertainty and lack of control are the ones most likely to resort to superstition or supernatural belief systems. That's why gamblers and sailors tend to be particularly superstitious. It's why the truism "there are no atheists in fox holes" may actually be true. 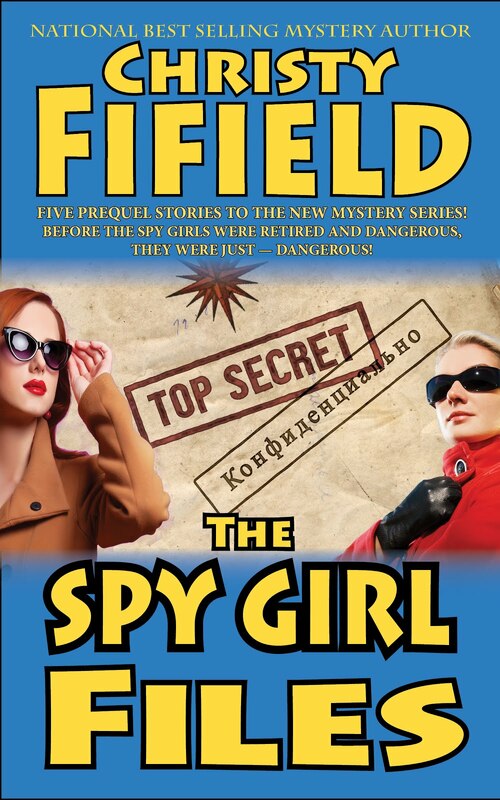 It's why there are agents and editors out there questioning the worth of your manuscript because you used the wrong-color of paperclip. Yes, writer, you've been rejected because your manuscript has an ugly girlfriend. You don't need home-runs to win - The winning strategy developed in Moneyball is simply to throw out the whole star system in favor of a mathematical approach to winning games. Stars don't win games, especially when they require disproportionate resources to acquire and keep. Home runs don't win games. Getting on base, and doing so consistently is what wins games. Players that do that (especially if they have other "flaws," like an ugly girlfriend, or a weak jaw) may not attract attention or cost much to sign, and you can afford lots of these gems-in-the-rough instead of one or two "stars." This applies to publishing as well. Traditional publishing, especially in the last ten years, has increasingly been about the best-selling book. Folks in traditional publishing will tell you this must be so. Increasingly retailers are stocking fewer books and stocking them for shorter amounts of time. Only "big" books get ordered. Only "big" books get reviewed (because there are fewer newspapers and magazines doing that) in order to become the "big" books that stores will actually order and stock. A little success is not enough any more. It's more common that not these days to drop authors and book series that are profitable and have respectable and climbing book sales simply because they numbers aren't big enough, and they aren't climbing fast enough. If it's not a hit, cancel it and throw something else at the wall on the oft-chance it will be a hit. And if it doesn't pop the way you hope, dump it and start again. Things are being dumped every day that could be earning an author a decent living and making the publisher a small-but-steady profit, because that's the way the game is played. And as long as the traditional publishing chain and traditional retail are the only ways to put books in front of the reader, writers had no choice but to play along. But that's changed. There are options. Self-published ebooks. Self-published print-on-demand books. Smaller presses using new technology. The "because, because, because" of traditional publishing may still be true for them, but it doesn't have to be true for you, the writer (or for you, the reader either). For most of publishing history, even successful writers have lived big-check to big-check. We're always waiting for the next big advance, the next big royalty check, the next big option money, and slowly starving a lot of the rest of the time. By tradition, those big-checks (and best-seller lists, major reviews, and awards) are how we judge out success and measure our worth. But in fact, we don't need them. What we need is a steady, dependable income over the lifetime of a career, and this new world is far more likely to offer it to us than traditional publishing ever is. And in fact, the new model can do this without ever having a break-out success. Readability and consistency win the day, not a plaque on the wall, a notation on a list in a newspaper that nobody reads any more, or a big check that never comes again. That's the new success. It is more important to ask the right questions than to get the right answers - The mistake the old-guard made in "Moneyball" was to ignore what the As were doing because, by their yardstick, the As were obviously going to fail. They were asking the wrong questions. "Are they getting star players?" No. "Without star players, are they going to get lots of spectacular plays and home runs?" No. Ergo, they are going to lose. The right questions in this case were, "Can we redistribute our player budget to get a better team, than a few better players on a team?" Yes. "Can these players consistantly get on base, even if it's only to first, and even if it's in an undramatic fashion?" Yes. "Do they have specialized strengths that we can deploy strategically to our advantage on the field?" Yes. "Can we live with their weaknesses if these are balanced out in other ways?" Yes. "Will we ultimately win games?" Yes! By traditional publishing standards, it's very hard for indie publishers to win. Nearly impossible in fact. But that's because traditional publishing is asking the wrong questions: "Can you get into bookstores and major retailers?" Not so much, but given the costs, the returns, and the lack of support there, maybe I don't really need to. "Will you have the force of a major publicity department behind you?" - Oh, you mean the publicity effort that you put behind a small percentage of your titles? In any case, I need those only if I need velocity of sales, a big spike to sell through the stores I'm not in anyway. I can drift along for years selling my ebooks and print-on-demand books through online-retailers. I don't care as much about how many books I sell in the next six weeks as a do the numbers I'll sell in the next six years. "Will you get reviewed in major print publications?" - Probably not, but again, other than massaging my ego, those reviews serve mainly to get me into the stores I'm not getting into in any case, and to create sales velocity that I just explained I don't need for my business model. Will you get on best-seller lists? - How much do those pay again? "Will you sell as many books?" - Maybe but if not, I'm still making seven times more per sale, so if I sell 1/7th as many books, I'm ahead. "Can you make as good and dependable a living as you can with traditional publishing?" - Uh, yeah, but only if I don't make an even better one! 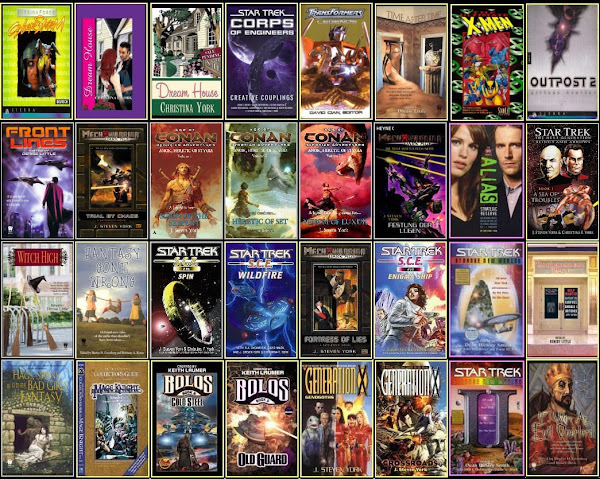 If you enjoyed this post or found it useful, you can contribute to our good and dependable living goals buy buying one of our indie-ebooks. Search for "Tsunami Ridge Publishing" on any major ebook seller to find our titles! Or just click on the "donate" button below and send us a little something directly. Thanks! Oh, and after watching the movie, Chris immediately ordered the ebook of "Moneyball," and finds it to be even more entertaining and informative! I like stories about clever people, so I figure I should be one. It's only fair. Good points, all. WOW, WOW, WOW. Love the article, revolutionary! Play on, play on.